While they're improving, game covers are still a largely generic lot. But book covers? Well, they've had centuries to get it right, and many book covers are classy. What if the two were switched? We'd end up with these. 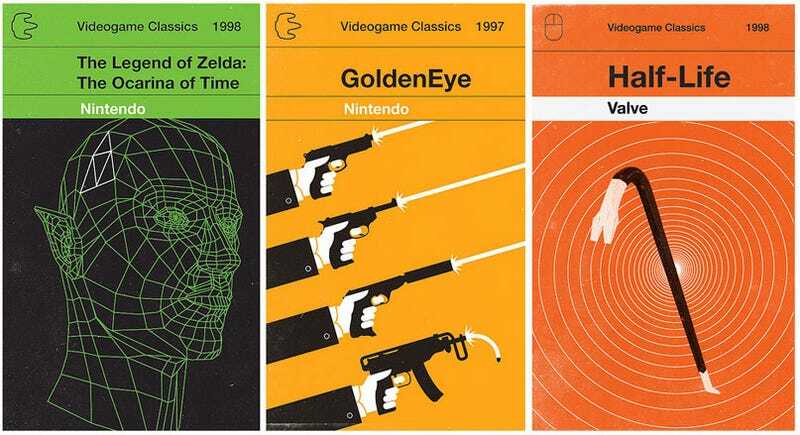 Olly Moss has drawn up a few examples of what it would look like if classic games shared the same cover art as classic books. Specifically, Penguin's old classics range. If the children of the 21st century do indeed go on to study the "classics" while at school, we can only hope they're handed out looking like this.